Very Nice Pre Owned Condition, with no issues found. Collar to seam - 26" - shoulder to sleeve - 7" - waist - 20". I can fix most most of not all issues within 24 hours. Who knows, there might be a special gift waiting for you. Very Nice Pre Owned Condition, with no issues found. Photos showing more of a gray, it is a sky or powder blue. This cool retro-design t-shirt is plain on the front with a big orange “78” on the back and “Summer of ‘78” on the left sleeve. See pics. Price includes shipping. IF AN ITEM HAS ANY FLAW OR DEFECT, IT WILL BE CLEARLY DESCRIBED IN THE “ITEM CONDITION” SECTION. Mens X Large Train Like A Beast Dry Fit Old Navy Brand T- Shirt. Condition is Pre-owned. Shipped with USPS First Class Package. Muhammad Ali T Shirt Mens XL- Dark Grey Soft - Preowned. Fun but not tacky. The back of shirt is plain. Underarm to Underarm: 23. Length: 29. We will do the best to our ability to make sure your satisfied with you order and in helping you with any concerns that you may have. This item is used, therefore size may differ from advertised size. Length: 29″. Armpit to armpit: 23″. 50% Cotton 50% Polyester. Men's OLD NAVY short sleeve sunset palm tree graphic tee size XL NWT! Hawaii Aloha North Shore. VERY SOFT SHIRT! COLOR: Green. Men’s Old Navy light blue short sleeve pullover cotton shirt in gently used pre-owned condition. Great Looking RAVENS Tee. Sleeve to Collar: 15" (SS). by OLD NAVY. Top to Bottom: 29". 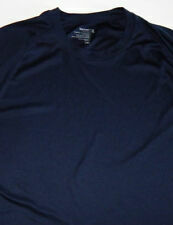 Men’s old navy adventure tee Sz XL Measures: 25” pit to pit and 30” long Has even wear and fading from previous washes. Sold as is See photos! Ask questions! Thanks for looking! Arm pit to arm pit- 23”. Length- 30". so if you are unsure. Colors vary from screen to screen. flat, and not stretched. OLD NAVY Thermal Waffle Long Sleeve Stretch Shirt Top Green Mens Size XL NWT. Condition is New with tags. Shipped with USPS First Class Package. Repearting front and back scene. 60% cotton/ 40% polyester. Bottom of the Collar Length ~ 30". 23" Across armpits/chest. 29" Long at shoulder. The shirt is pre-owned in excellent condition with no noticeable defects. It is a size XL. Pit to pit 24". Super Soft. Front Collar to hem 27". Back Collar to hem 29". Shoulder to shoulder 22". There are 2 very small stains on the back. Across bottom 24". In Great Used Condition.